Wanted: A friend! 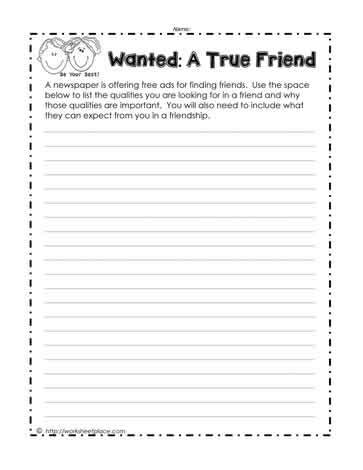 This worksheet makes children think about what it takes to be a friend and what it takes to find a friend. Friendship shouldn't be taken for granted, friends need to feel needed, respected, trusted and valued. What does it take to be a friend? What does it take to find a friend? This worksheet focuses on friendship.